Day 2 of our road trip. We went to Medan Tangga for breakfast the next morning. Judging from the number of stalls selling it, I guess the popular dish among Kuala Lipis people here is Hakka Mee. I wanted to try the pulut rendang but it would not open until afternoon that day due to fasting month. After the breakfast, we had a historical tour in Kuala Lipis. 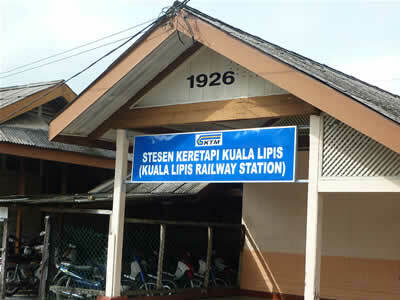 Kuala Lipis is famous for its heritage buildings. 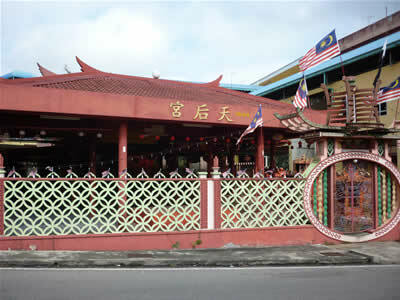 There are about 14 buildings, listed as historic buildings by Malaysian Ministry of Heritage and Culture. The first stop was the train station. It was built in 1926. Until now you can still see the station is built from wood. Masjid Negeri (State Mosque) was our next stop. It was built in 1888. 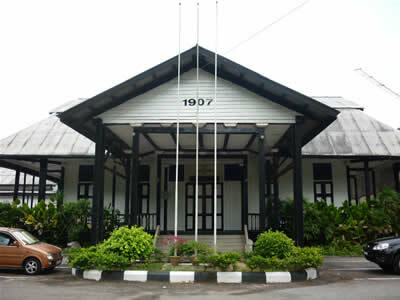 It is the oldest building in Kuala Lipis that survives until today. Then we stopped at 1898 built Thean Hou Chinese temple. All these buildings (train station, Masjid Negeri, Thean Hou Temple) were within walking distance and located in the town. As for Pahang Club building, it is in the suburb and is located somewhere behind the hospital. This wooden building was built in 1907. 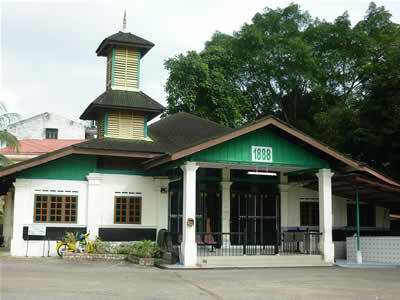 It used to be the place for the rich and famous of Kuala Lipis to get together. But now the building is not being occupied and used. Plus, it is sad fact that the building is not properly maintained and left to rot. Note: This is the 6th article of A Family Road Trip to Pahang: Bentong, Raub, and Kuala Lipis series.